Following the success of last month’s Sake tasting event, we’ve have decided to do it every month! This April we have two days, each with two different sake on offer. 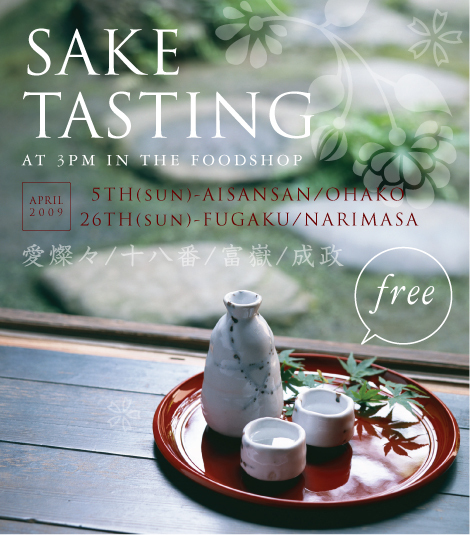 On Sunday 5th we are offering the chance to taste two premium sake: Aisansan and Ohako. On Sunday 26th another two sake are ready to be tasted: Fugaku and Narimasa. Drop by the Foodshop from 3pm at Japan Centre, 213 Piccadilly, London. See you there!